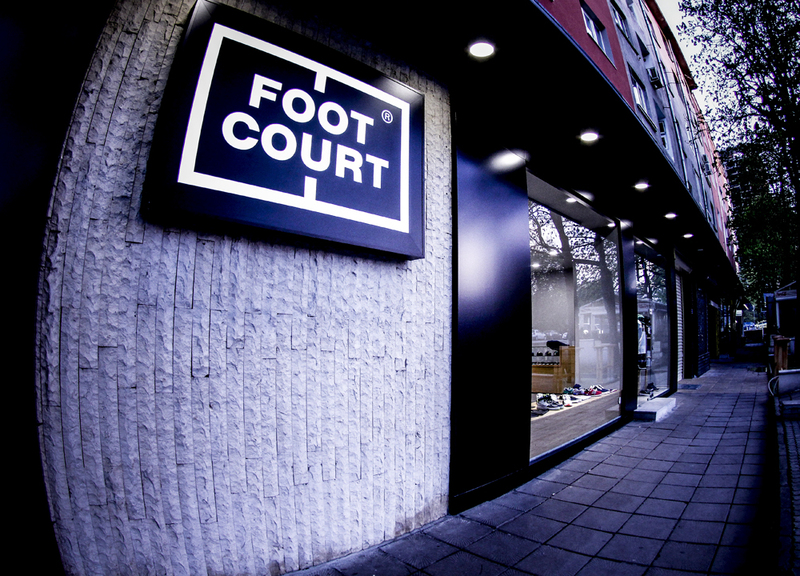 Foot Court is dedicated to the sneaker fans, the authentic athletic and streetwear brands, and to all of those who want to look good without compromising convenience. The purpose of Foot Court is to offer an unique selection of sneakers, combined with specially selected collection of clothes and accessories. For the Foot Court team, the sneakers are the most important part of the streetwear. When placing an order, you agree that all details you provide to footcourt.bg for the purpose of purchasing goods are accurate and complete in all respects. footcourt.bg accepts purchase orders 24 hours a day and process them every working day from 10 a.m. to 17:00 p.m. Orders, sent after 17:00 p.m. are processed on the following day. Your contract for purchases made through footcourt.bg is with Impact Distributions Ltd. and you confirm that all goods ordered by you are for your own private and domestic use only and are not for resale. All orders are subject to product availability and acceptance by footcourt.bg. If any product from your order is unavailable, we will contact you by email. We are unable to make amendments to an order after the point of despatch. Should you wish to make any changes prior to despatch, please contact our Customer Services team on info@footcourt.bg or +359 885 462 446. All product prices at footcourt.bg are gross prices and include the Bulgarian VAT. The product prices stated are for one piece and are in BGN. The product prices exclude the delivery taxes via Speedy Express Delivery Services. When you proceed to check-out, you fill in the order form with your shipment details. The total amount given above include the delivery taxes. - You fail to make payment to us when due. - You breach any of our terms and conditions. - We suspect you have engaged, or are about to engage, or have way of being involved in fraudulent or illegal activity on footcourt.bg. Please note, for International deliveries, local import duties and charges may apply. If the total amount of an order exceeds 100 BGN, the delivery expenses are covered by footcourt.bg (for orders in Bulgaria only). If the total amount of an order is less than 100 BGN (for orders in Bulgaria only) – the delivery expenses vary between 4 and 6 lv. The delivery expenses are automatically calculated in the ordering process. For international deliveries - delivery expenses vary (depending on the courier’s tariff zone) and are automatically calculated in the ordering process. Delays can occur if we need to investigate mistakes made during the checkout process or any other order irregularity. To avoid delays, please be sure to confirm the accuracy of all billing and shipping information. If a delivery is not possible, be it because you were not reachable at the provided delivery address, although the time of delivery was indicated to you with appropriate notice or if the address provided was incorrect, then you should cover the costs of the unsuccessful delivery. For deliveries in Bulgaria - the delivery takes about three working days, after the confirmation of footcourt.bg. We reserve the right to change the delivery time, informing you about the status of your order. For international deliveries – the delivery takes between 5 and 15 working days, after the confirmation of footcourt.bg. We reserve the right to change the delivery time, informing you about the status of your order. The product is delivered properly packed. You take over the risk once you take possession of the item. footcourt.bg is not responsible for any delay if it is due to the courier. Our website, found under the URL www.footcourt.bg, operated by Impact Distribution Ltd., is registered to 56, Tcherni vruh blvd., Sofia, Bulgaria (company number 202983900). All references to “we”, “us” and “our” shall be deemed to be references to footcourt.bg and references to “you” and “your” shall be deemed to be references to persons placing an order via this website. The following terms and conditions apply to all use of the footcourt.bg. By placing an order with us you agree to have read, understood and accepted these terms and conditions. Please note, as these may be subject to change at any time without notice, it is your responsibility to check this page prior to any use or purchase. If you have any queries regarding our terms and conditions, please contact us before use or order placement. Every care is taken to ensure that the description, specification and pricing of all products shown on our website is correct. The product information and specification provided is not binding, but is carefully considered and intended to give a general description of each product. footcourt.bg will act immediately to correct any error identified and are under no legal obligation to honour a price displayed in error. You don’t need to register in order to place an order with us online. However at the point of finishing your order, we request certain information including your name, delivery address, email and payment card details (in case you decide to pay by credit/debit card). This information is required to enable us to process your order and notify you of its progress. Once an order has been placed, we will contact you by email to confirm your order details and again once your order has been accepted and despatched. Should we need to contact you for any reason regarding your order, we will use the email address registered to your account, or the telephone number provided. With the exception of feedback requests or assistance with delivery, we will never pass your e-mail address to any other organisation. For the sole purpose of aiding a delivery, your contact details may be shared with the chosen carrier (Speedy Express Delivery Company). To the fullest extent permitted by law and save as provided above, neither footcourt.bg nor any associated company shall be liable to you by reason of any representation, or any implied warranty, condition or other term, or any duty at common law, or under the express terms of the contract, or in negligence for any indirect special or consequential loss or damage (including but not limited to loss of profit or loss of saving), costs, expenses or other claims for compensation whatsoever which arise out of or in connection with the use of this website, the supply of the products or their use or resale by you. While footcourt.bg uses reasonable endeavours to ensure that the information on this website is accurate and up to date, it does not give any warranty as to its accuracy or completeness and footcourt.bg will not be responsible for any errors or omissions or for the results arising from the use of such information. While footcourt.bg takes all reasonable steps to ensure a fast and reliable service, it does not guarantee that your use of this website will be interruption or error free and will not be responsible for any disruption, loss of or corruption of any material in transit, or loss of or corruption of material or data when downloaded onto any computer system. The entire liability of footcourt.bg under or in connection with any contract for any products to which these conditions apply shall not exceed the price of the products, except as expressly provided in these conditions. footcourt.bg will not be liable to you or be deemed to be in breach of these terms and conditions or any other contract with you by reason of any delay in performing, or any failure to perform, any of its obligations in relation to the products ordered by you if the delay or failure was due to any cause beyond its reasonable control. footcourt.bg may assign or transfer any of its rights or sub contract any of its obligations under these terms and conditions to any third party. You may not assign or transfer any of your rights or sub contract any of your obligations under these terms and conditions except with the specific permission in writing of footcourt.bg. All rights, including copyright, in the content of the footcourt.bg web pages are owned or controlled by footcourt.bg. In accessing footcourt.bg web pages, you agree that you may only download the content for your own individual and non-commercial use. You are not permitted to copy, broadcast, download, store (in any medium), transmit, show or play in public, adapt or change in any way the content of the footcourt.bg web pages for any other purpose whatsoever without the prior written permission of footcourt.bg. We cannot be held responsible for material displayed on third party websites or any other written material. The only prices that apply for footcourt.bg products are those stated on the footcourt.bg material. This website and our Terms and Conditions have been designed for use within the Bulgarian and under Bulgarian law. Whilst we are happy to consider requests for products and enquiries from outside Bulgaria, we give no warranty, express or implied, that the use of this website or the placing of any order through this website from outside Bulgaria complies with any applicable non-Bulgarian laws or regulations. You have a 7 day right-to-return period for Bulgaria and 14 days for deliveries outside Bulgaria. You can cancel your order and return our product by contacting our Customer Services team by phone or email. You can return the product only on the condition that it has not been used or damaged. The product should be in perfect condition and (where possible) in its original packaging with all tags attached. You should cover the delivery taxes, unless the product has a manufacturing defect (for Bulgaria). For orders outside Bulgaria, the Client should contact the manufacturer. If you cancel your order we will reimburse you within 7 (for Bulgaria) or 14 days (for deliveries outside Bulgaria) from when we receive the goods back or when we receive proof you have sent the goods back (whichever is earlier). We will reimburse all payments received from you, except for the costs of delivery. We may make a deduction from the reimbursement for any ‘diminished value’ of goods e.g. worn clothing. In case of visible manufacturing defects, you must contact footcourt.bg within five days after the delivery of the product (for Bulgaria). In case of hidden manufacturing defects (defects that can be detected later), you must contact footcourt.bg within five days after they have discovered the defect (for Bulgaria). In case of a manufacturing defect within 30 days of the delivery, footcourt.bg is obliged to repair or replace the damaged goods or refund the amount (for Bulgaria). For orders outside Bulgaria – in all those cases, you must contact the manufacturer. footcourt.bg recognize the following problems as defects, provided that they are not caused intentionally or due to misuse – unstitched parts, material detachments, unglued parts, cracks in the sole. The warranty period for shoes is 1 month, for snowboard boots is 12 months. The warranty period starts from the time of the delivering of the product. In all of these cases, the return costs shall be borne by footcourt.bg. The maximum period for removal of the defect, occurred during the warranty period is 30 days. The warranty is not valid in the following cases: - damage, caused intentionally or due to misuse, machine wash, the absence of a document certifying the purchase. Small deviations from the quality, color, size, weight, surface design , etc., which cannot be technically avoided, are no ground for complaints. Your safety is our highest priority, and that is why we use great caution and the highest safety standards while dealing with your personal data. For safe transferring of customer data during the ordering process and especially credit card details, we use the most advanced security system for online payment - Mastercard Secure Code and Verified by Visa. This is a safety code activation by your credit card provider. When paying by card you pay the cost of products and the delivery tax (in case that you pay such). Transaction currency when paying by card is Bulgarian lev (BGN). 2. By Payment upon Delivery – The products are delivered by SPEEDY Express Delivery Company (www.speedy.bg). The amount is paid directly to the courier. Payment is only in cash. Footcourt.bg accepts most major credit cards including Mastercard, Visa. All prices displayed include BGN sales tax (VAT). Welcome to www.footcourt.bg (hereinafter referred to as “Web site” or “Website”) which is operated by “IMPACT DESTRIBUTION” LTD, a Bulgarian company, with UIC: 202983900, having its seat registered at: Sofia “Lozenets” region, “Cherni Vryh” Boulevard №56, telephone number: 00359 885 462 446. “IMPACT DESTRIBUTION” LTD (hereinafter referred to as “Controller”) is a Bulgarian company, with UIC: 202983900, having its seat registered Sofia “Lozenets” region, “Cherni Vryh” Boulevard №56, telephone: 00359 885 462 446and website: www.footcourt.bg. 2. Processing of personal data means any operation or set of operations which is performed on personal data or on sets of personal data, whether or not by automated means, such as collection, recording, organisation, structuring, storage, adaptation or alteration, retrieval, consultation, use, disclosure by transmission, dissemination or otherwise making available, alignment or combination, restriction, erasure or destruction. 3. Restriction of processing means the marking of stored personal data with the aim of limiting their processing in the future. 4. Profiling means any form of automated processing of personal data consisting of the use of personal data to evaluate certain personal aspects relating to a natural person, in particular to analyse or predict aspects concerning that natural person’s performance at work, economic situation, health, personal preferences, interests, reliability, behaviour, location or movements. 5. Controller means the natural or legal person, public authority, agency or other body which, alone or jointly with others, determines the purposes and means of the processing of personal data; where the purposes and means of such processing are determined by Union or Member State law, the controller or the specific criteria for its nomination may be provided for by Union or Member State law. 6. Processor means a natural or legal person, public authority, agency or other body which processes personal data on behalf of the controller. 7. Recipient means a natural or legal person, public authority, agency or another body, to which the personal data are disclosed, whether a third party or not. However, public authorities which may receive personal data in the framework of a particular inquiry in accordance with Union or Member State law shall not be regarded as recipients; the processing of those data by those public authorities shall be in compliance with the applicable data protection rules according to the purposes of the processing. 8. Third party means a natural or legal person, public authority, agency or body other than the individual, controller, processor and persons who, under the direct authority of the controller or processor, are authorised to process personal data. 10. Personal data breach means a breach of security leading to the accidental or unlawful destruction, loss, alteration, unauthorised disclosure of, or access to, personal data transmitted, stored or otherwise processed. 5.5 Individuals provide personal data to the Controller when they register on the Controller's website. When making a registration, the individual provides the following personal data that the Controller collects and processes, namely: name and surname of the individual, e-mail address, telephone number and address. The collection and processing of these personal data is necessary: ​​- for the realization of the legitimate interests of the Controller, which legitimate interests are enabling the individual to maintain a registered profile on the Controller's website in order to retain products preferred by the individual or the individual to purchase the preferred goods; - for concluding or executing a contract for the purchase of goods. The data of the individuals are stored on a server of a hosting provider and the server is located in the Republic of Bulgaria. 13.2 More information on the technical and organizational measures undertaken by the Controller is available in the Instruction on the Mechanism of Personal Data Processing and their protection in the maintained registers containing personal data with the Controller. In case you would like to receive detailed information about the technical and organizational measures, please do not hesitate to contact us at 00359 885 462 446 or sales@footcourt.bg . · to Individuals to whom the data relate when they exercise the right of access the personal data relating to him/her. · to data processors providing services in favor of the Controller’s business activities, such as accountant of the Controller and courier organizations, which are subject to a confidentiality obligation, and they have provided sufficient assurance of enforcement appropriate technical and organizational measures in such a way that the processing proceeds in accordance with the requirements of the Regulation and ensures the protection of the rights of individuals. 3. signature, date of submission of the request and e-mail address. Last updated: April 23, 2018. Welcome to http://www.footcourt.bg/?l=en (hereinafter referred to as "Web site" or "Website") which is operated by "IMPACT DISTRIBUTION" LTD. (hereinafter referred to as Provider) and may be accessed worldwide. PLEASE READ THIS COOKIES POLICY CAREFULLY BEFORE USING THIS WEBSITE AND IF YOU HAVE ANY QUESTIONS ABOUT THIS COOKIES POLICY, PLEASE CONTACT US AT: sales@footcourt.bg. IF YOU DO NOT AGREE TO ANY OF THE CONDITIONS CONTAINED IN THIS COOKIES POLICY, YOU SHOULD NOT USE THIS WEBSITE.
" IMPACT DISTRIBUTION" LTD. is a company, registered in the Commercial Register at the Registry Agency with UIC: 202983900, having its seat and registered address at: Republic of Bulgaria, Sofia, p.o. box 1407, 56 Cherni Vrah Boulevard, telephone: +359 878 656 707, e-mail address: sales@footcourt.bg and website: http://www.footcourt.bg/?l=en. 1. What are cookies and how are cookies used? Cookies are small text files that are sent from the Website to the computer or visitor’s device and stored in the browser’s file directory that the visitor uses. They collect information about how the site is used in order to improve the Website performance. This information most often includes: IP address of the device from which the visitor has access to the platform (usually used to determine a country or city); type of device from which the visitor accesses the platform (e.g., computer, mobile phone, tablet, etc. ); type of operating system; type of browser; concrete actions to be taken, including pages visited, frequency and duration of visits to the website; date and duration of visits. More information about Cookies can be found at: http://www.allaboutcookies.org/. Providing Visitors a better experience. There are two types of Cookies that are used when visiting this website: session cookies and persistent cookies. Session Cookies are temporary Cookies that remain on the device until the browser is closed. Persistent Cookies remain on the device for a longer period of time or until they are deleted. The Cookies used on this Website are presented in the table below. Necessary These Cookies are necessary for the proper functioning of the Website by allowing the visitor to navigate the website and use its features, such as remembering previous back-to-back actions in the same session. Analytics These Cookies provide information on how the Website is used. This information includes: IP address of the device from which the visitor has access to the platform (usually used to determine a country or city); type of device from which the visitor accesses the platform (e.g., computer, mobile phone, tablet, etc. ); type of operating system; type of browser; concrete actions to be taken, including pages visited, frequency and duration of visits to the website; date and duration of visits. From the types of Analytics Cookies we use Google Analytics. In this way we have the opportunity to improve the functionality of the Website. Performance These cookies are used in order to enhance the functionality and the performance of the Website. 3. How long is the information kept? Browser Controls: The option to control Cookies, including the option to delete Cookies, are available in the browser used by the visitor. Different browsers use different ways to disable Cookies, typically in the "options" or "tools" menus. To disable performance Cookies and disable Google Analytics, it is necessary to download an add-on to disable Google Analytics. Visitors can also find out how they can disable Google Analytics Cookies at: https://tools.google.com/dlpage/gaoptout. More detailed information about how to control Cookies for different types of browsers is available at the following addresses: https://www.aboutcookies.org/how-to-control-cookies/ or www.youronlinechoices.com. Visitors also have the opportunity to delete all the Cookies that are saved on the device. More detailed information on how to delete Cookies for different types of browsers is available at https://www.aboutcookies.org/how-to-delete-cookies/#gchromex. If you have additional questions about this Cookies Policy, please do not hesitate to contact us at +359 878 656 707 or sales@footcourt.bg.